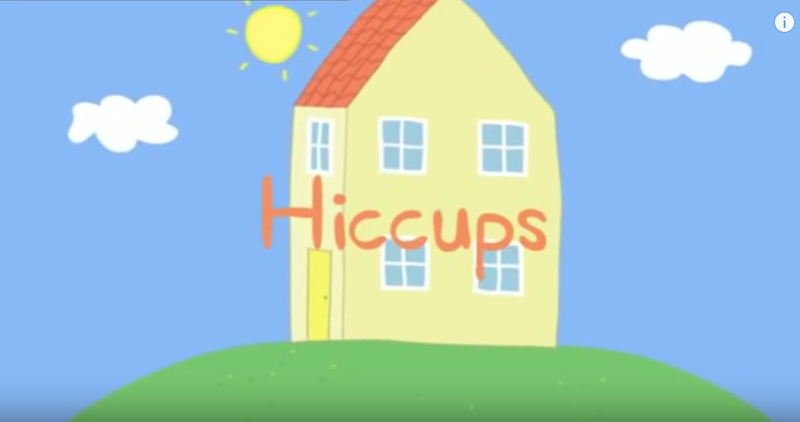 【日本語訳付き】Peppa Pig フレーズ集　Hiccups 編 | English Culture for Kids! 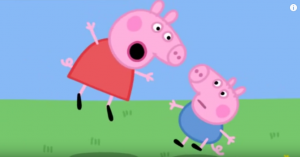 Peppa: But George’s hiccups have gone mommy. Haven’t they George? Narration: Oh dear. George’s hiccups are spoiling the game. 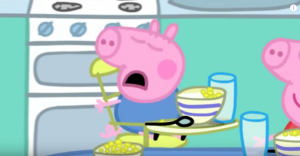 Peppa: George, I know how to cure your hiccups. You have to do what I say. 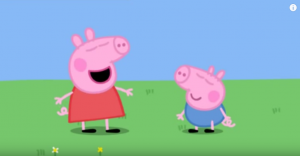 Peppa: Rub the top of your head and rub your tummy. Now, wave your arms up and down and stick your tongue out. 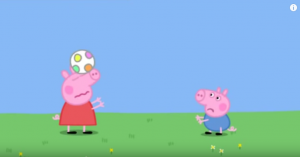 Mommy: Peppa, you musn’t play so roughly with George. He’s only little. 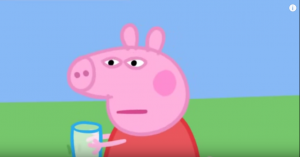 Peppa: I’m not as little as George. I can drink juice as quickly as I want to.